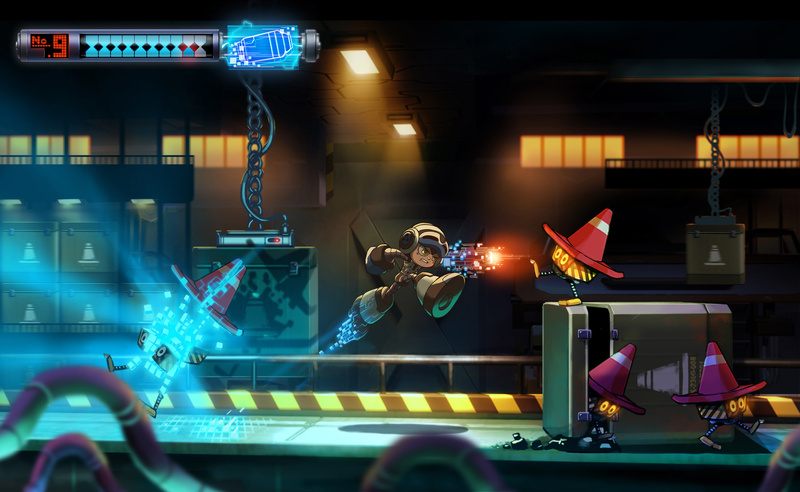 Keiji Inafune's crowdfunding for Mighty No. 9 has, unsurprisingly, been progressing rather well. After a few frustrating years for fans of the Blue Bomber, Capcom's former employee and the man many consider to be the father of the series is working on a game with undoubted conceptual similarities. Not only that, but he's brought in a number of other former Capcom staffers to help him with the task. The buzz has brought plenty of attention to the Kickstarter campaign as it's rapidly accumulated plenty of support. Not too long ago the stretch goal that includes the Wii U was reduced to $2.2 million, and the happy news is that the target has been hit with two weeks to go of the campaign. That guarantees the Wii U version, and it seems fitting that the birth of this new franchise will be enjoyed on a Nintendo system. If you want to secure a copy and back the project for more stretch goals (which include extra stages and an online co-op mode) you can secure a copy on the platform of your choice for $20, or you can wait for the actual game to arrive in the eShop. It's a while away yet, however, with a current estimate of April 2015. Are you hyped for Mighty No. 9, and do you think you'll pick it up on the Wii U? Happy this is making it to the Wii U! Day 1 purchase for me. I'm definitely picking the Wii U version once funding ends and they send out e-mails for which version you'd like. Great news. Great work Thomas for keeping the awesome kickstarters in the spotlight! is this on the 3DS? This news is vital to the WiiU for next year and beyond. As third party releases will fall away next year the eshop will be the lifeblood of the console. Loving this. Woopwoop. I wish it was coming sooner though, heh. Coo. Looks like I'll be gettin' dat fa' sho. Maybe I'll be throwin' down that bill for the co-op. I'd like to know your source for less 3rd party support, one year from now. Oh wait, no one can predict the future... Nice try, bro. About time we get a new Mega man game. Loving all the indie support for Wii U! It's nice that Nintendo is reaching out to the indies since it's pretty obvious they won't have such luck with SOME 3rd parties. I backed it, as clearly many others did. Happy ending. Though I have a confession to make. Sometimes when I read "Mighty No. 9" I can't help but think of "Mambo No. 5." Yeah. I'm seeing the doc tomorrow, so I'll bring this up. I guess Inafune simply wants the WiiU to succeed. Anyway, as for me, this is great news, despite I'm still holding out for a 3DS version. @ikki5 Is that a problem this game isn't even a Nintendo port and even PC gamers getting the game so what's the difference. Every community has Megaman fans and are working together to fund him the money so that's no problem regardless of "enhancements" of what console/PC. @SCAR392 my source is the news from the industry at large. Also, less attitude would be most welcome. Just dropped my $20 for a Wii U version! This news is indeed mega, man! Capcom rarely brings good news anymore (not bringing a game to Wii U, not localizing a game, no boxed version will be available for Europe, cancelling Mega Man,...) so it's for the best. Now, by making it something new in name too, even Mega Man fans can move on. Mega Man tissue boxes won't be a reason to waste even more tissues anymore. Could Capcom 'be on its way to irrelevance'? Or will they bring us MH4, Ace Attorney, SSF4 the ultimate super wow gold turbo buy-two-get-one-edition and whatever other awe-inspiring words they can come up with (to Wii U),... -BOXED- in Europe? Anyway, mighty day one purchase! PC, most likely. PS Vita would be ideal, but that won't happen. @Ralizah, down in the FAQ they mentioned that they are looking at bringing Mighty No. 9 to the PS Vita. There is quite a large Nintendo 3DS and Sony PS Vita fanbase on Kickstarter. If you check out the comments sections of Shantae, Hyper Light Drifter, Mighty No. 9 and Taxi Journey you'll see quite a number of people asking about PS Vita and 3DS releases. Yes! Day 1 Wii U download! Too bad the release date is over a year into the future. Well considering I upped my pledge from $20 to $60 just to help the console versions funded, you could say I'm looking forward to the game. Hoping some of those other stretch-goals will be met as well as they would certainly up the replayability of the game. Missed that, apparently. I would totally buy a copy for my vita. Definitely giving it a try on the Wii U when it comes. If Nintendo does not have an account system by that time, I'll buy it on my X360. I did not give even a cent cuz I don't have the way but I'm buying when it comes out surely. @mariobro4 8D KIRBY DANCE OF HAPPINESS! @MagicEmperor Yeah, I might have to call it Mambo No. 5 now after laughing for a while like that. Haha. Can't wait to get this on the Wii U! So happy that it reached the stretch goal. Though it probably won't reach its other stretch goals unfortunately like online/co-op or the PS4 and Xbox One goals as the mountain of backers has decreased a lot. Happy I supported this, but two years seems like a long time to wait... it should be worth it! Great news! Too bad Mighty N.09 won't be hitting until 2015....Which seems unusual considering this isn't retail, it's a spiritual new start for mega man, and as we all know mega man games aren't chalk full of million dollar cutscenes, voice acting and blah blah, so why the long wait? I thought it would of been mid to late 2014. Kind of disappointing. Cool, maybe I will pledge closer to the end. WaveBoy: the game is still in the planning stages right now. It's very early in development. Yes! I'll do my best to forget about this for a year... if not, the wait will be excruciating. Can't wait!! Hopefully a 3DS version option will be available, but something tells me I should enjoy this in its full Wii U HD glory. Definitely picking this one up as soon as it comes! The really sad thing is that this is what would have been an HD sequel to Mega Man, most likely Mega Man 11, had Capcom retained Inafune and trusted his creative direction. What a shame. I sincerely think Capcom is looking at this situation with regret - that is a potential 2 million loss of profit for them. Or whatever dollar figure if you multiply the total amount of people that pledged times......20 bucks. @Magrane Right. Still remember first 3D adaptaion of the series, X7 to X9? Those games could have been much much better. Yep capcom megaman is surely dead, no one wants a megaman game. Glad this made the stretch goal, I would have got a pc version if it hadn't but I'll be getting the wiiU version for backing the game. $20? For a full blown preorder AND help funding the game? I think I might invest on this one just for the chance to get all that extra content. Mega Man with attitude for the new age, from THE father of Mega Man. I'm down with that. Good job Capcom, you created this rift. Care to re-employ Inafune now? I put down my $20 for a Wii U copy a few days back. I'm very excited for this. I supported Mighty No 9 with $20 (I get a free copy on Wii U) and I also just supported Shantae: Half Genie Hero with $15 (I get a free copy on Wii U). Both these games are well deserved for us fans. 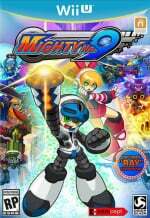 I supported Mighty No 9 as well with 20 bucks. I think this will be on alot of people's list and will bring alot of life into Wii U. Too bad this couldn't have been something Nintendo and Keiji planned together to be a launch title. Could have been a great situation for Wii U right from the start. I supported Mighty No 9 with $60 bucks and I will give Shantae: Half Genie Hero some cash when I have more money, mybe $15 bucks. Im very excited for Mighty No 9 on Steam and Wii U.